Bobby L. McCray, Jr. was born on 8 August 1981, in Miami, Florida USA. He is an ex-college and professional American Football player, who played in the position of defensive end for the Jacksonville Jaguars, New Orleans Saints and Philadelphia Eagles of the National Football League. A famous defensive end, how rich is Bobby McCroy at present? Sources state that McCroy has earned a net worth of over $10 million, as of mid-2016. His wealth has mostly been accumulated during his football career which lasted from 2004-10. McCray attended Homestead High School in Homestead, Florida where he played football for the school team and was selected to the Prep Star’s All-America team during his senior year. He later enrolled at the University of Florida, in Gainesville on an athletic scholarship. and played for the college team the Florida Gators. In his first year, the player was red-shirted by the coaching staff, and in his four seasons with the Gators from 2000 to 2003, he was a part of the 2000 SEC Championship team and was named Second-team All-SEC on two occasions. He played in 36 games, making 107 tackles. In 2004 McCray entered the NFL Draft, being selected by the Jacksonville Jaguars as the 249 overall pick in the seventh round of the draft. He remained four seasons with the team, from 2004 to 2007, playing as pass rusher. His averages per season were 5.5 sacks, including a 10-sack season in 2006. He finished his time with the Jaguars with a sack and a forced fumble, in winning the America Football Conference wild card game in 2007. 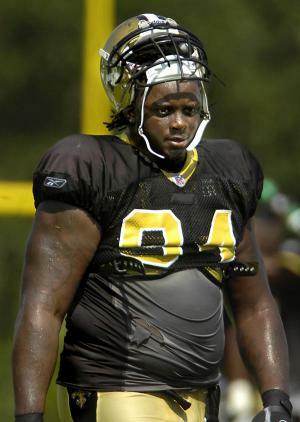 In 2008 the New Orleans Saints signed McCray to a five-year, $20 million contract, with $5 million in guaranteed money. He played all 16 games in his first season; the following year he was shifted to a reserve spot, but after the 2009 regular season, he was moved back as a starter. The player was instrumental in all three of the team’s play-off victories, and led the Saints to win the 2009 Super Bowl XLIV, getting a nickname ‘Quarterback Killa’. However, McCray was fined $20,000 for illegal hits in a game against the Minnesota Vikings in the 2010 NFC Championship game. As one of the National Football League Super Bowl champions, McCray visited President Obama at the White House in 2010, along with the rest of his team. During his two seasons with the Saints, he started eight of 32 regular-season games, being credited with 41 tackles, 7½ sacks and a forced fumble. The Saints released him in 2010, and then re-signed him to a one-year contract the same year. However, the team waived him after a month as he didn’t live up to the sack statistics he made earlier. Nevertheless, the player had been able to amass significant wealth during his time with the Saints. A few months later, McCray was signed by the Philadelphia Eagles. He played one game with the team and then retired as a free agent. Aside from football, McCroy is an avid cook. His culinary skills were shown in Sports and Entertainment Today in 2009. He also appeared on ESPN’s “The Mag: Bobby McCray Jock Chef”, and was featured in ESPN’s The Mag: For Love or The Game Reggie Bush/Bobby McCray”, “The Brian McKnight Show”, “Rome Is Burning”, “Super Bowl XLIV”, “NFL Monday Night Football”, “2004 NFL Draft”, and “The Central Park Five”. As of 2015, McCroy has served as the founder and CEO of Atlas Group Advisors, a consulting group aimed at helping other high-profile individuals obtain and sustain both personal and professional success. When it comes to his personal life, McCroy has been married to actress Khadijah Haqq since 2010. They have two children together. McCroy also has a son from his previous marriage. The former player is involved in philanthropy: during his football career, he donated $1,000 with every sack he had made to an organization called After School All-Stars, aimed at providing after school programs for kids to help them succeed in school and life.